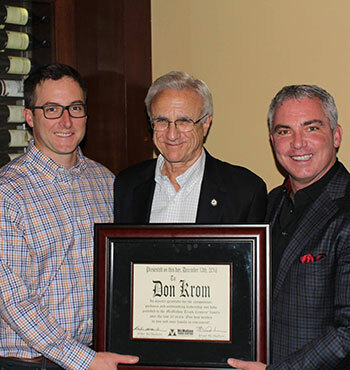 It is the fifth generation of the family to be in the transportation business. By creating a network of multiple locations in multiple states, McMahon has built its business based on a hub-and-spoke model. It has established roots in markets with a significant commercial truck presence. The company’s approach is to provide the marketplace with a wide product range, including new and used truck sales, parts, service and leasing. In addition, the company utilizes the strengths of its manufacturer partners to complement its offerings. McMahon focuses its efforts on finding ways to help its customers ensure that their trucks operate efficiently, looking for service and process improvements so it can help maximize the uptime of the trucks it sells. 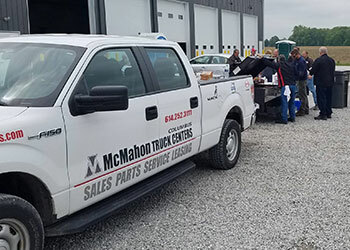 The trucking business is very much about service, and McMahon Truck Centers understand that they have a responsibility to closely take care of the customer. Their parts fill rate is right at 96 percent over the counter, and they are available 24 hours a day. Likewise - the service, sales and leasing spokes of McMahon Truck Centers are focused on customer needs. McMahon Truck Centers has continued to grow and expand over the last decade to become one of the top heavy-duty truck dealerships in the United States. For the past 17 years, the group has earned the Multi-Million Dollar Parts Sales award from Mack Trucks and received their Symbols of Excellence for 10 consecutive years. Have fun at the end of the day. We have been named U.S. Dealer of the Year by Mack Trucks and received numerous industry awards. Mike McMahon has been an ATD 20 Group member since 1998, and is an ATD Academy graduate. Brad McMahon is an ADT graduate as well along with being an ATD 20 Group member. We are involved with various industry organizations, including the North Carolina Trucking Association, Tennessee Trucking Association, Truck Rental and Leasing Association.